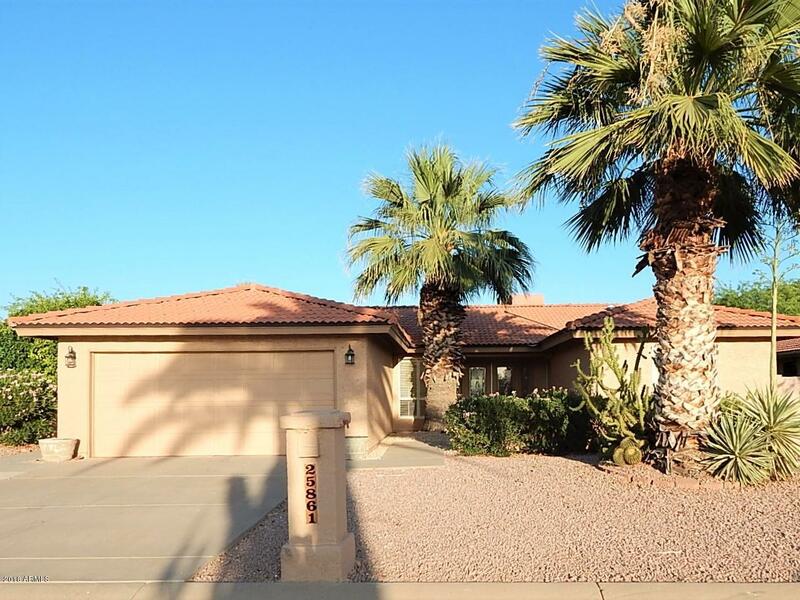 Beautiful updated home in the highly desired community of Sun Lakes. This comfortable and easy flowing floor plan is ideal for you and your guests. Large master bedroom boasts a spacious walk-in closet, fireplace & appealing master bath. Living space includes a wet bar for entertaining or extra storage. Inside Laundry. Enjoy your Resort style backyard with sparkling heated pool, large covered patio & citrus trees. Don't miss out on this wonderful property!